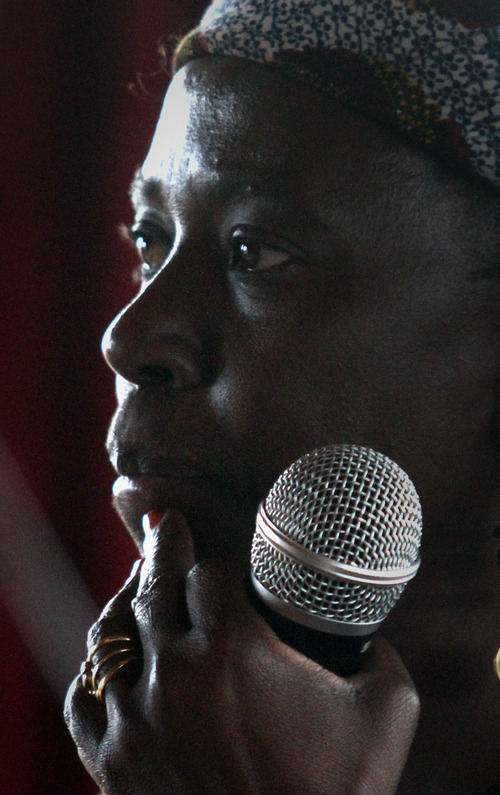 Freedom • Their success benefits all, advocate Kanyoro tells Park City audience. Rick Egan | The Salt Lake Tribune Musimbi Kanyoro, CEO of the Global Fund for Women, listens to questions from the audience, at a gathering at the Park Meadows Country Club in Park City, Friday, December 7, 2012. Rick Egan | The Salt Lake Tribune Musimbi Kanyoro, CEO of the Global Fund for Women, speaks about women's rights at a gathering at the Park Meadows Country Club in Park City, Friday, December 7, 2012. 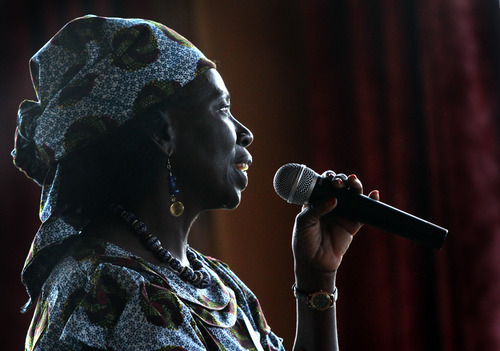 Rick Egan | The Salt Lake Tribune Musimbi Kanyoro, CEO of the Global Fund for Women, speaks about women's rights at a gathering at the Park Meadows Country Club in Park City, Friday, December 7, 2012. Rick Egan | The Salt Lake Tribune Musimbi Kanyoro, CEO of the Global Fund for Women, speaks about women's rights at a gathering at the Park Meadows Country Club in Park City, Friday, December 7, 2012. Rick Egan | The Salt Lake Tribune Musimbi Kanyoro, CEO of the Global Fund for Women, speaks about women's rights at a gathering at the Park Meadows Country Club in Park City, Friday, December 7, 2012. Investing in women and girls is the single most effective antidote to the world&apos;s pressing problems of war, poverty and disease. 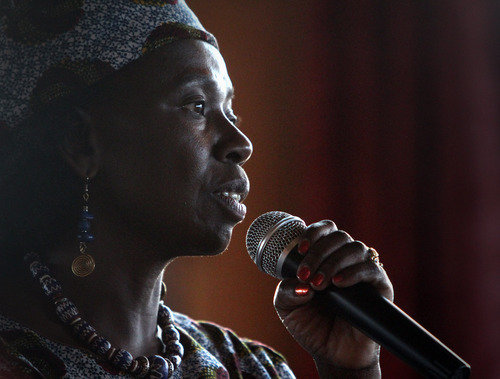 Musimbi Kanyoro, president and CEO of a U.S. foundation that provides grants to women-led organizations, carried that message Friday to Park City where she addressed a gathering of 60 women leaders from Utah. In a follow-up interview, Kanyoro said women play a special role by contributing not only to the wellbeing of their children and families, but also to the wellbeing of communities. "Women&apos;s rights are about keeping women free from any type of harm. What happens to them is not outside the frame of human rights," said the head of Global Fund for Women, a foundation that seeds women&apos;s rights organizations in nearly every part of the world. 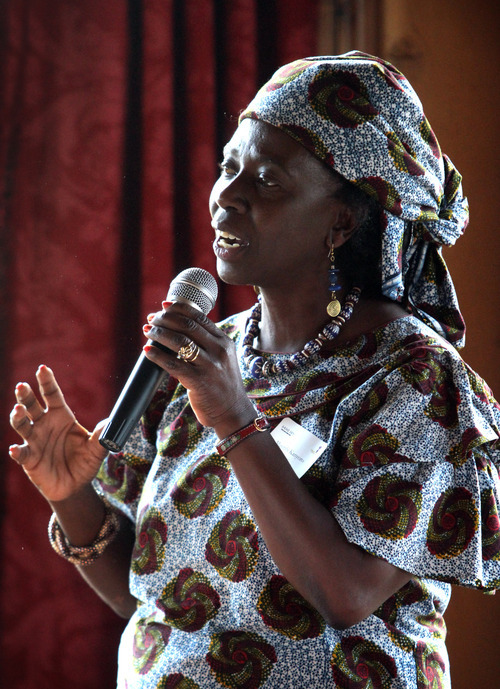 The Global Fund for Women "is providing solutions," said Kanyoro. "We are able to move the needle, we are making a difference." The San-Francisco-based organization has provided $85 million in grants to 42,00 groups in 171 countries since its founding in 1987. Investing in women has an exponentially positive effect, she said because they in turn invest in their children and communities, bringing higher standards of living and human rights for men, women, boys and girls. Women should be free from early marriage until they are grown up, free from violence and free to get an education, she said. Yet despite advances, women throughout the world still face many challenges, including dying during childbirth and lacking economic, educational and political opportunities. "Education is one of the best solutions," she said. "When women are educated, they see that they are not isolated, they can read, have contact with others and travel. It opens opportunities for jobs and friendships." Her message resonated with the Park City audience. Kanyoro has "an unbelievable perspective of women&apos;s rights," said Jacki Zehner of Park City, who is CEO of the New York-based nonprofit group Women Moving Millions, which supports philanthropy benefiting women and girls. Zehner said she hopes Kanyoro&apos;s visit "will refresh the conversation," sparking discussion of why Utah women continue to fall behind men in educational achievement and economic advancement. Kanyoro also has led the Population and Reproductive Health Program at the David and Lucile Packard Foundation in Los Altos, Calif. 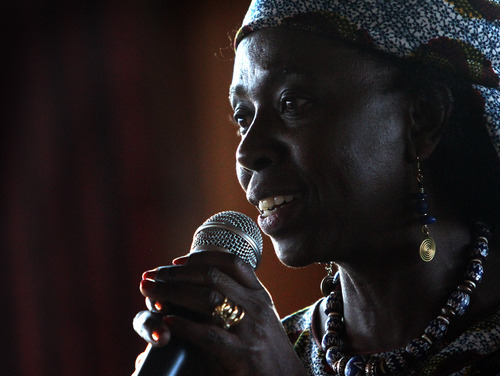 In addition, she served as the general secretary of World YWCA from 1998 to 2007, leading advocacy initiatives around women&apos;s reproductive health and the impact of HIV and AIDS. Money • The foundation has raised $85 million, providing grants to 42,00 groups in 171 countries.